It has been 50 years since the Guild Pilots made their mark on the floating islands of Azure, and now they make their mark among the stars. Join in the fight against alien invaders to seek your fame and fortune in the Space Age. 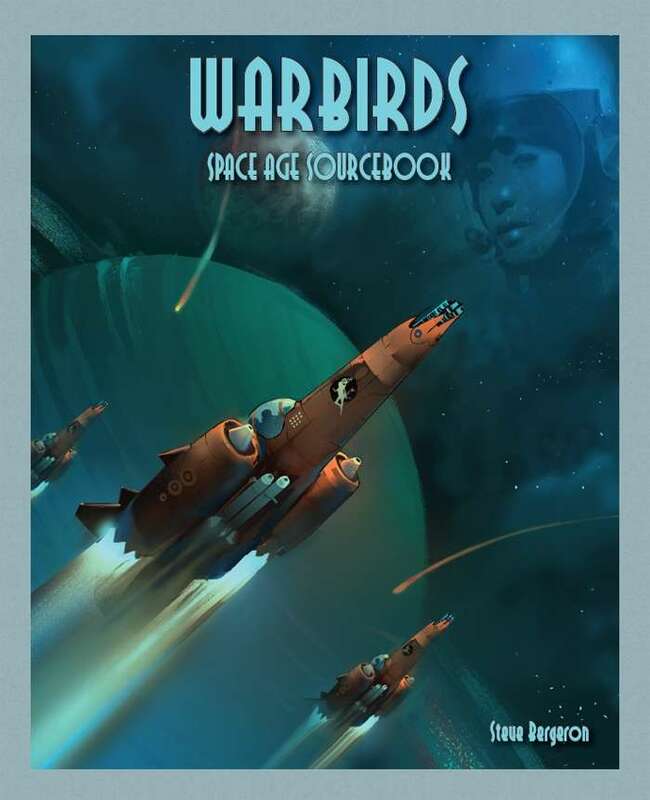 With a fully updated setting, new rules for space age dogfighting, new customizations, new vehicles and even new races, Warbirds: Space Age is the perfect expansion to take your Warbirds sessions to a stellar level. This title needs to mention that the print version includes the WW2 and Jet Age sourcebooks as well! I just bought the Print & PDF Bundle, but received no Download link. I think there may be something wrong. Awesome products though from Outrider. This title was added to our catalog on June 15, 2016.